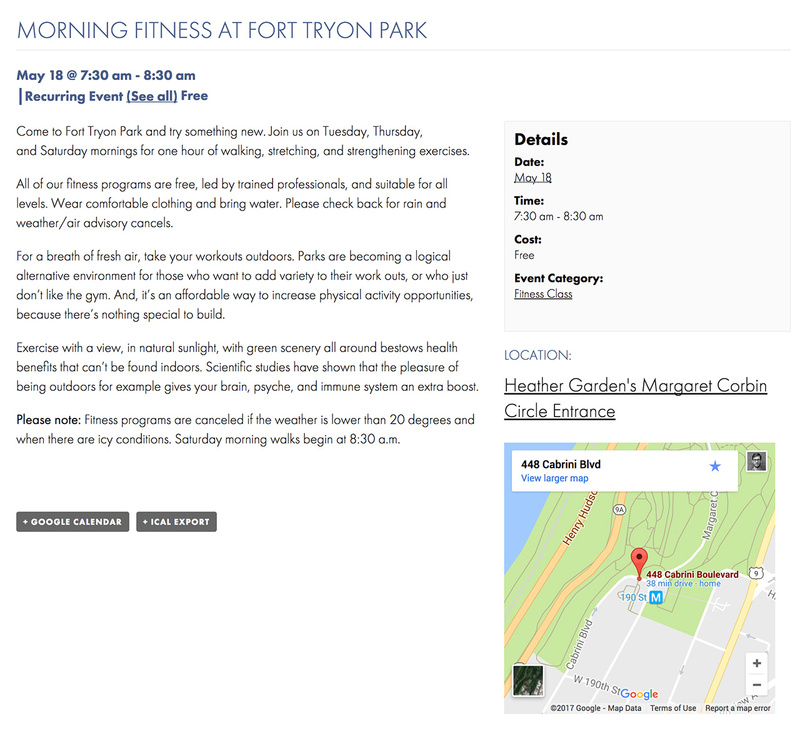 The Fort Tryon Park Trust is the non-profit organization dedicated to the care, maintenance, and enrichment of Fort Tryon Park. 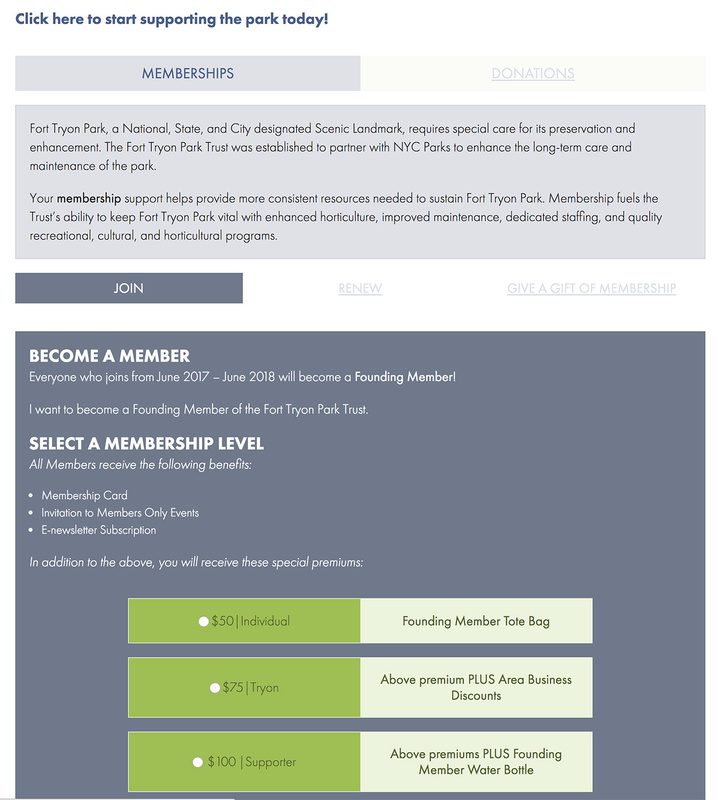 Since 1998, the Trust has developed strategic partnerships and leveraged funds to build an endowment to protect and improve Fort Tryon Park. 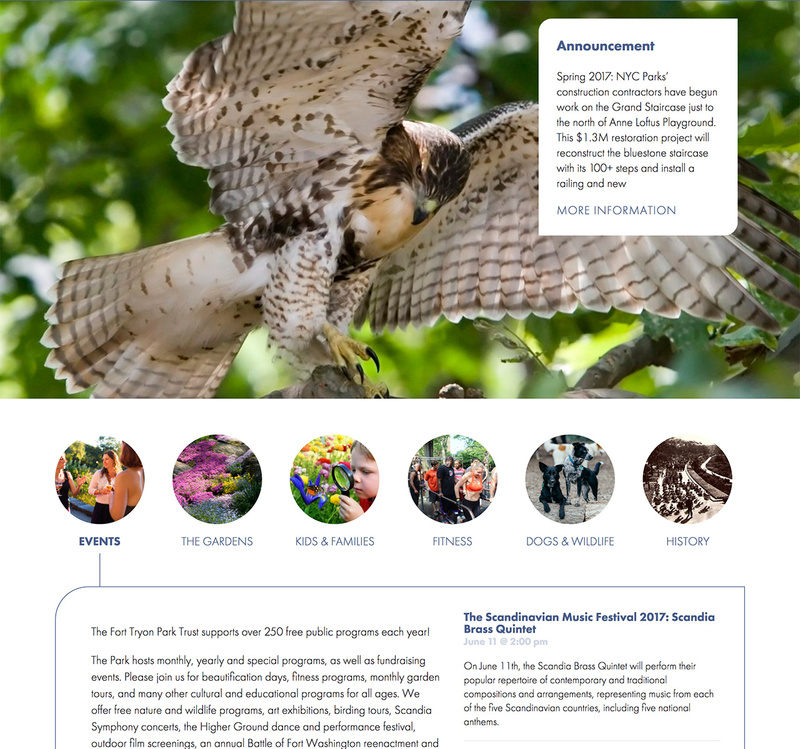 As the major steward of Inwood’s immaculate Fort Tryon Park, the trust approached us in need of a major overhaul to the park’s website. 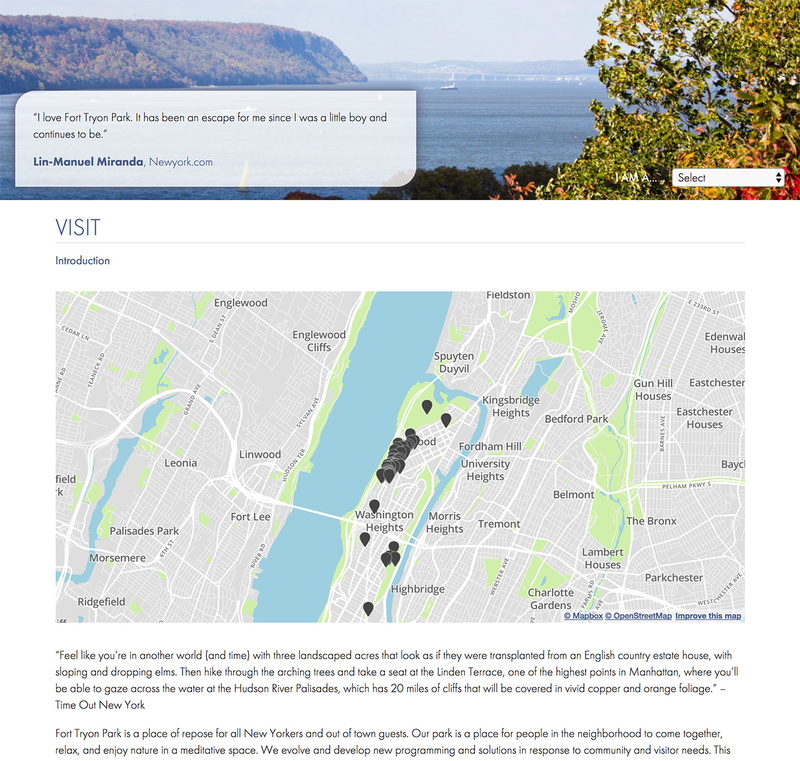 The new platform presents a clean, media-rich, and accessible experience that leverages the park’s photogenic assets and serves as a true home for this multifaceted New York City Parks gem. 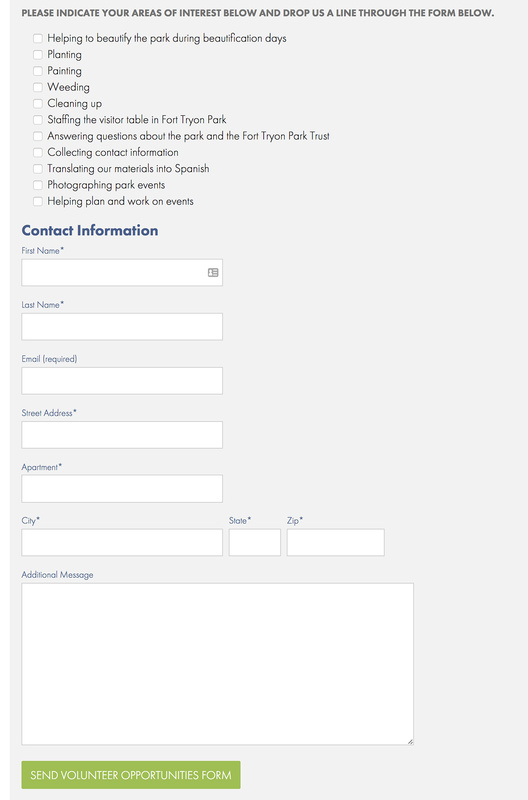 Key features of this project include an advanced donations and memberships system, with multiple levels of giving, as well as and custom built-in tiered membership sign up system. 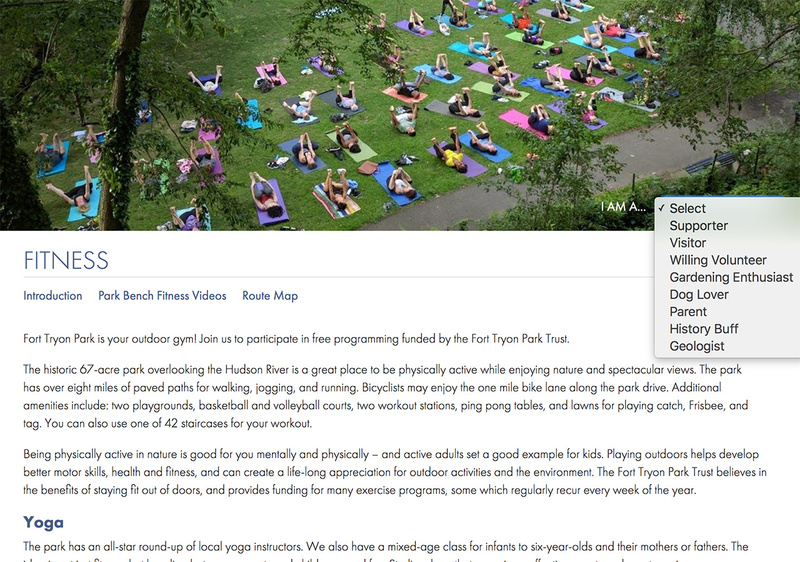 Users can explore the park through a live, data-integrated map utilizing geolocation data for park sites and gardens. 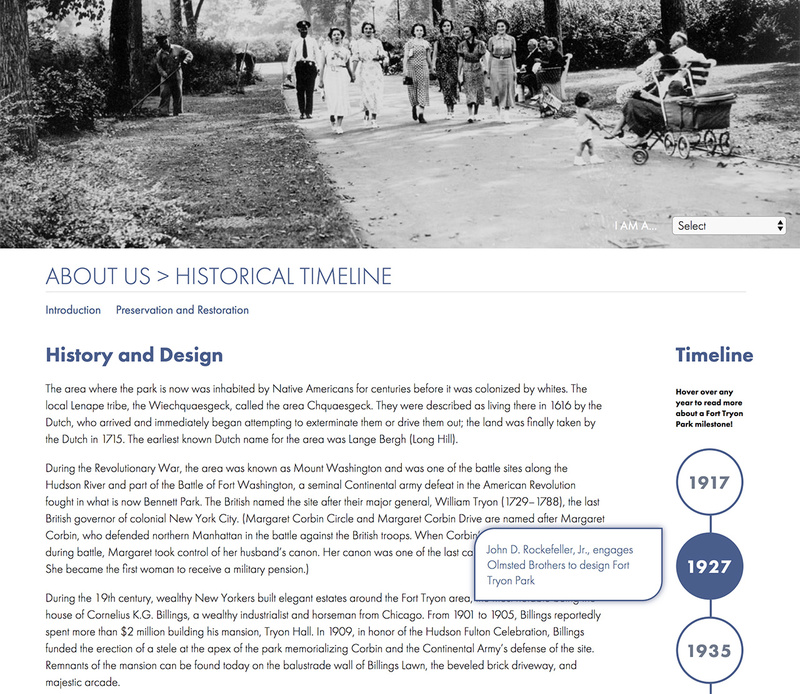 Park visitors can stay up to date via an interactive events calendar, or research the rich history of the park through the new historical timeline. We’ve also laid the groundwork and structure for a forthcoming data-based plant and bloom guide. On the design side, we paid particular attention to User Experience needs such as diversity of age and socio-economic background, and created an accessible user interface that attempted to bridge the gaps of different user types by providing multiple entrance points into overlapping content. 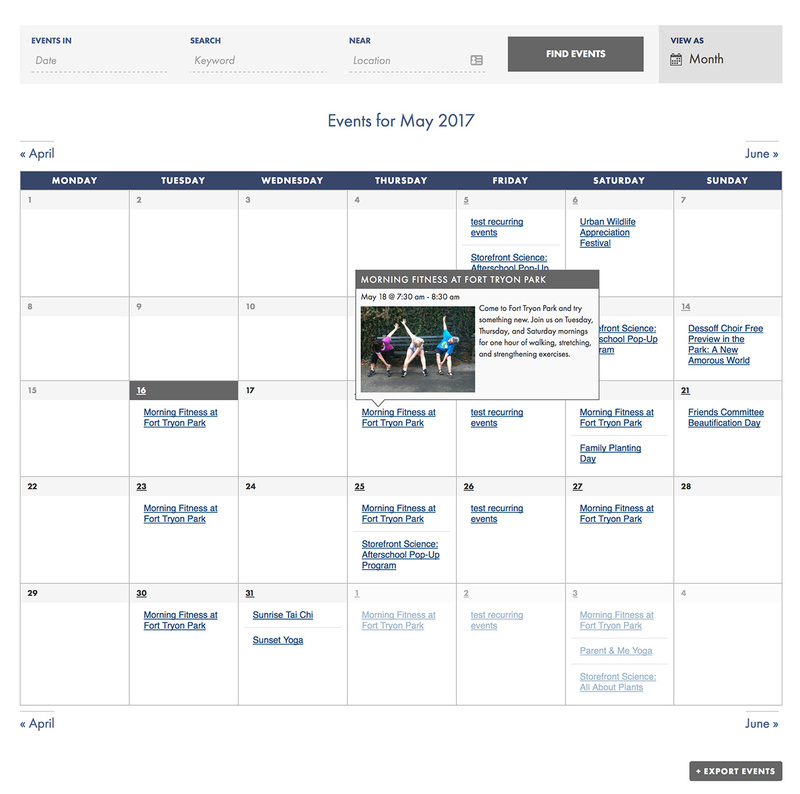 We also worked together to create a modular design system, so that internal templates can utilize several flexible modules to showcase featured or related content. 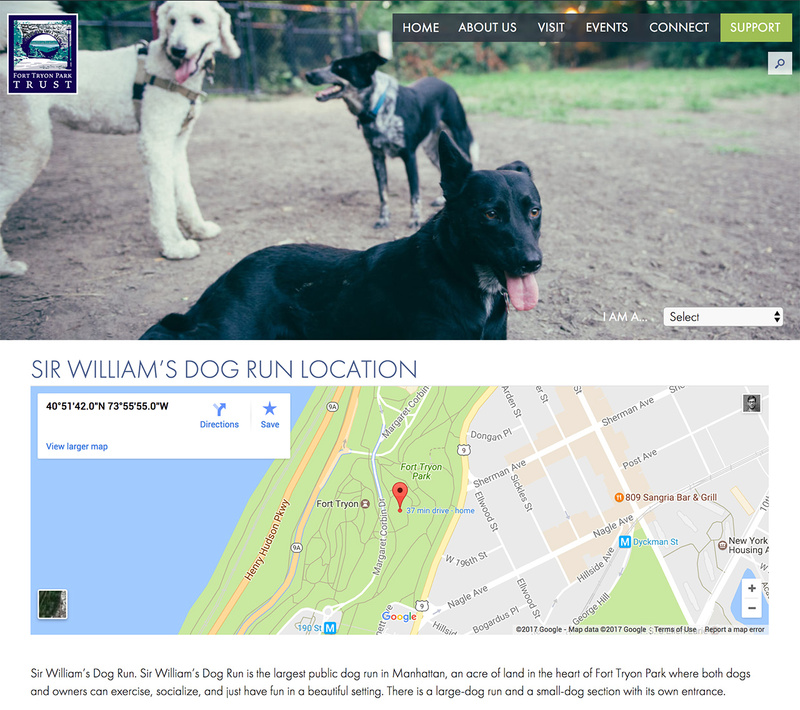 As always, the site, powered by a custom installation of the WordPress CMS, features SEO tools for administrators and is responsive across phones, tablets, and an array of monitors. 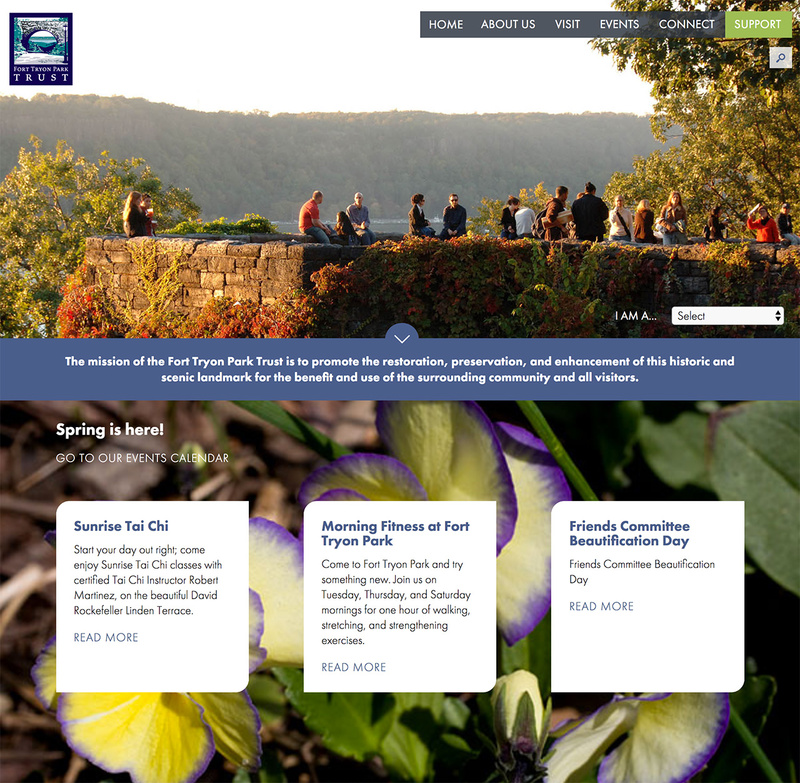 Social Ink’s partnership with the Fort Tryon Park Trust is an example of our continued work on websites for New York City parks, the civic and community trusts and alliances that help sustain them. Fort Tryon Park is a unique and precious New York City asset. 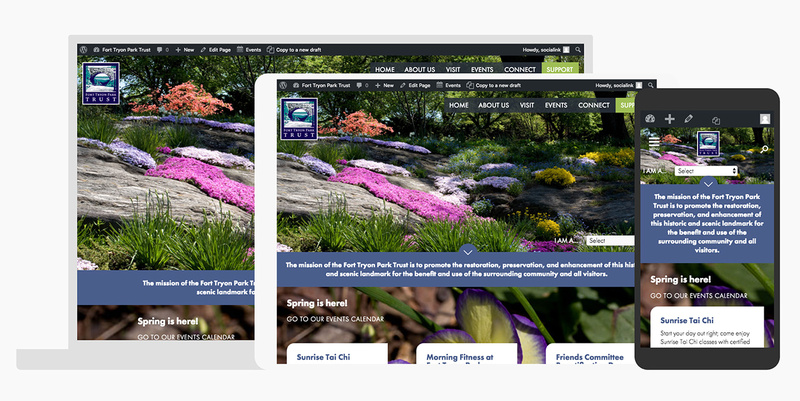 We’re proud to give it a website that represents the park in all its glory!